The University of New England College of Osteopathic Medicine (UNE COM) fosters the development of health care leaders across the continuum in undergraduate, graduate, and continuing medical education to advance exceptional osteopathic health care locally and globally through practice, research, scholarship, education, and community health. UNE COM, set in a beautiful location where the Saco River meets the Atlantic Ocean, is committed to serving the people of New England and the nation through an emphasis on educating primary care physicians. UNE COM offers academic excellence, a supportive learning environment and a picturesque oceanside campus. UNE has seven Centers of Excellence, which include the Center for Biomedical Research Excellence for the Study of Pain and Sensory Function (COBRE); the Center for Excellence in Aging and Health; the Center for Excellence in Health Innovation; the Center for Excellence in the Neurosciences; the Center for the Enrichment of Teaching and Learning; the Interprofessional Education Collaborative and UNE North, a Center for Excellence in the Marine Sciences. UNE COM is recognized for excellence in primary care, osteopathic manipulative medicine, and geriatric education. Biddeford, Maine; Rural, Oceanside. Closest city is Portland, ME. UNE COM is accredited by the Commission on Osteopathic College Accreditation (COCA) and by the Commission on Institutions of Higher Education of the New England Association of Schools and Colleges. The College of Osteopathic Medicine has received Accreditation with Exceptional Outcomes from the American Osteopathic Association Commission on Osteopathic College Accreditation, the only national accrediting agency for predoctoral osteopathic medical education in the U.S.
Jack S. Ketchum Library, Biddeford Campus, and Josephine S. Abplanalp ’45 Library, Portland Campus. Libraries are open 24/5, with reduced hours on Saturday and Sunday. Leonard Hall features the latest in state-of-the-art educational technology, white boards and other features which allow for case-based learning and other innovative educational learning experiences. The Harold Alfond Center for Health Sciences offers students outstanding gross anatomy and osteopathic manipulative medicine laboratories. The Clinical Performance Center for work with standardized patients and patient simulators. The Pickus Center for Biomedical Research provides opportunities to collaborate with faculty on basic science research. The University Campus Center includes a fitness center, racquetball court, gym, and an indoor track and pool, with an extensive intramurals program. The Alfond Forum athletics complex includes an ice hockey rink, basketball court, classroom space, fitness center, and multi-purpose indoor practice courts that can also be used for performances and other events. The Ripich Commons features a new dining facility, small gathering spaces, larger community gathering spaces and flexible office space, plus lounge areas for student study including a dedicated COM Student Lounge. There is no on-campus housing available for graduate students on the Biddeford campus. Students generally have year round rentals in the surrounding communities of Biddeford, Saco, Old Orchard Beach, and Portland, ME. Some students utilize rentals of seasonal housing, however students are encouraged to be mindful of the academic year calendar as they make these arrangements. UNE COM students spend the first two years of the program on the University of New England (UNE) campus in Biddeford, ME. The curriculum consists of a series of large and small group learning activities, combined with independent experiential learning in physicians’ offices, hospitals, extended care facilities, and health centers. Scheduled learning sessions include traditional didactic lectures, interactive problem solving sessions, facilitated case-based learning, patient case study discussions, hands-on laboratory exercises, panel discussions, demonstrations, and clinically focused encounters with standardized and real patients. Learning activities are constructed to provide a strong foundation in the basic biomedical and social sciences as well as clinical skills as they apply to the rapidly changing practice of medicine. A thorough grounding in the manual skills of osteopathic manipulative medicine (OMM) is provided in the first two years, and supplemented, reinforced, and expanded in Years 3 and 4. Year 4 students continue their learning with selective and elective clinical rotations at UNE COM-approved programs of their choice. UNE’s 18-credit-hour Graduate Certificate in Public Health provides students with the core public health concepts they need to either enhance their professional knowledge or to pursue a graduate degree in the field. These 18 credit hours are the foundation courses for UNE’s Master of Public Health degree. All certificate program courses are transferable to UNE’s MPH degree program. The Pre-Doctoral Fellowship Program in the Departments of Anatomy and Osteopathic Manipulative Medicine is designed to expand the educational opportunities for selected students with guided learning experiences in the areas of medical education, research, Osteopathic Principles and Practices, and Anatomy while they assist in all phases of the departments’ operations. They will assist in lecturing, teaching, assessing, and counseling of the first and second year students. During the year the Fellow(s) provide clinical services under the supervision of faculty members and are encouraged to develop or participate in research projects with the assistance of the basic science and/or clinical faculties. Medical students at the University of New England College of Osteopathic Medicine can apply for funding to conduct research projects through either the UNE COM Dean’s office (Peter Morgane Student Research Fellowship) or UNE COM Student Government Association (Carmen Pettapiece Student Research Fellowship). These are great opportunities for UNE COM students who wish to participate and obtain experience in biomedical, clinical, experiential, or translational research either at UNE or at other locations nationally/globally. Research projects can have a basic science, community health, clinical, and/or osteopathic orientation. Applications are evaluated through respective review processes and selections are made accordingly. All current UNE COM students who are matriculated at the time of the award and in good academic standing are welcome to apply. The four-year Care of the Underserved Pathway (CUP) program coordinates current and planned offerings in underserved care and combines them into a comprehensive pathway designed to ensure that rising physicians will provide quality care for underserved patients in Maine and beyond. CUP provides qualified and interested UNE College of Osteopathic Medicine (COM) students interprofessional (team-based) knowledge, skills, and attitudes needed to care for underserved patients as well as recognizes students for their accomplishments, and encourages them to seek future positions in the care of the underserved. Faculty involved in CUP supplement the curriculum by serving as positive role models and mentors to future health professionals providing care to underserved patients. Applications are pre-screened for minimum requirements as verified applications are received. Qualified candidates will receive an invitation to submit the supplemental application fee. Applications are reviewed for completion (prerequisites complete or in-progress for completion by 1/1/20, embedded supplemental questions completed, supplemental application fee paid, all required Letters of Recommendation received, official MCAT scores). Completed applications are holistically reviewed for interview invitation. Admissions are rolling and decisions are determined after each interview session. Applicants are encouraged to complete their AACOMAS application as early as possible in the admissions cycle to ensure consideration for an invitation to interview. UNE COM evaluates applicants for admission on an individual’s demonstration of scholastic abilities, clinical and medically related experiences, motivation to practice osteopathic medicine in New England, and emotional intelligence necessary to study and practice osteopathic medicine. Minimum cumulative GPA of 2.8 and minimum science GPA of 2.8, at time of application, as calculated by AACOMAS (factoring in all courses taken with no forgiveness for repeated coursework). Minimum score of 490 on the Medical College Admissions Test (MCAT). Scores from January 2017 through December 2019 only. All prerequisite courses must be successfully completed with a grade of “C” or better (“C-“grades or pass/fail coursework not acceptable) by January 1, 2020. Applicants must have completed 90 semester hours or 75 percent credit towards a baccalaureate degree from a U.S. regionally accredited college or university, or international equivalent, at time of application, resulting in a degree awarded prior to matriculation. Applicants who meet minimum requirements for application should understand that the average GPA and MCAT scores for students interviewed and accepted into the program are well above the published minimum requirements. Just meeting the minimum application requirements does not guarantee an invitation to submit the supplemental fee, an interview at, or an acceptance to, UNE COM. 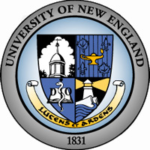 UNE does not discriminate in admissions or access to, or treatment in, its programs and activities on the basis of race, ethnicity, national origin, color, gender, sexual orientation, religion, age, veteran status, or disabling conditions in violation of federal or state civil rights laws of Section 504 of the Rehabilitation Act of 1973. Supplemental Application questions are embedded in the AACOMAS application. Qualified applicants will be invited to submit the supplemental application payment and move forward in the process. A team of faculty, clinicians or administrators and students conduct open-file interviews which focus on assessing each candidate’s characteristics to do well as an osteopathic physician, their fit with the mission, vision and values of the institution and their response to scenarios, looking at depth of reasoning and support of the discussion in their responses. Candidates are scheduled for one 30-minute interview as part of a half-day of on-campus activities. Interviews are by invitation only, and required for admission. *Advanced Placement (AP) and International Baccalaureate (IB) test credit accepted toward all prerequisite requirements. No other test credit accepted. Visit https://www.une.edu/com/admissions/criteria-procedures for detailed information on accepted coursework. Deposit applied to tuition: $2,000 applied towards tuition if student enrolls. The second deposit is refundable until May 1, after which it will be forfeited if the student does not matriculate.